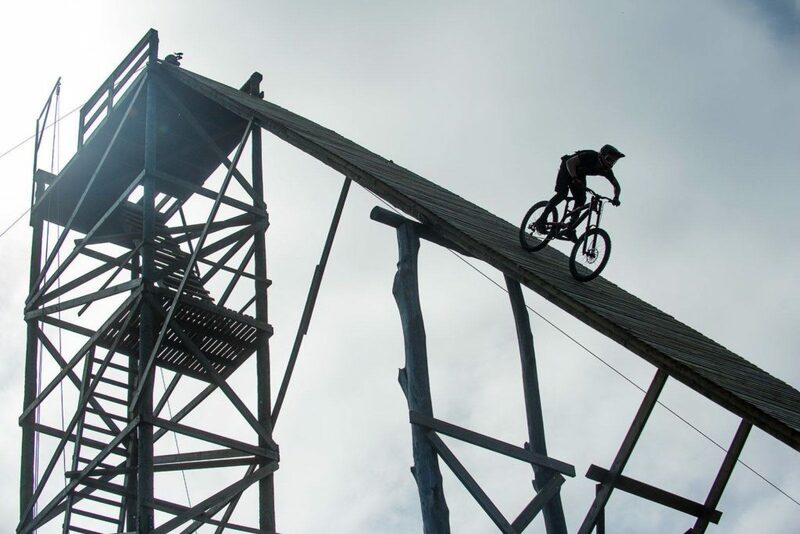 Locals can look forward to a good, heavy dose of heart-stopping action this year as DarkFEST returns for its 2019 addition, bringing with it internationally-acclaimed stunt riders and some seriously daring extreme tricks and jumps. A beast of a stunt track is being built just outside Stellenbosch in the beautiful Helshoogte Valley. It is here that riders will push their skills to the limits and put their lives on the line to achieve never-before-seen trick jumps. Locals should mark their dairies as DarkFEST from February 8-9 2019 is not to be missed. Many amazing riders will be joining the ranks this year. The gigantic track has had an overhaul and will offer riders as well as spectators a more exhilarating nail-biter of a show than ever before, with huge hills, ramps and dips built from sand for riders to challenge themselves on. It takes three professional riders, Clemens Kauldea, Niko Vink and Sam Reynolds, to build and test the track, two 23-tonne diggers and one five-tonne digger working for 250 hours while burning 3 000 litres of fuel. It takes three weeks to perfect the track and an additional 20 hours of spade work.